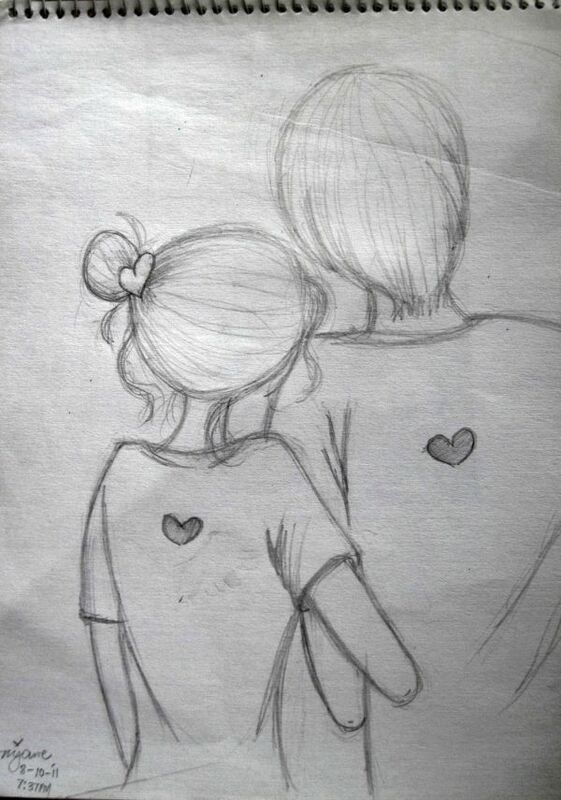 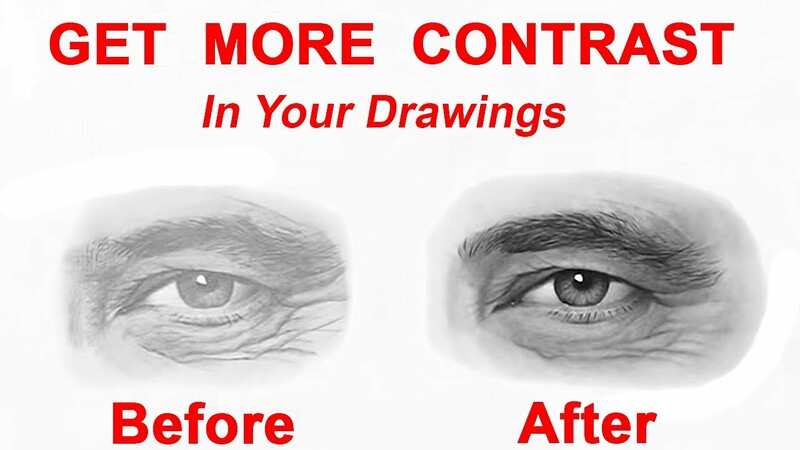 Thanks to all authors for creating a page that has been read 440,702 times. 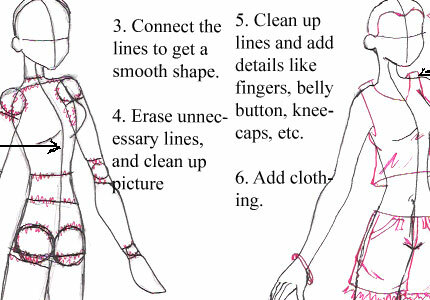 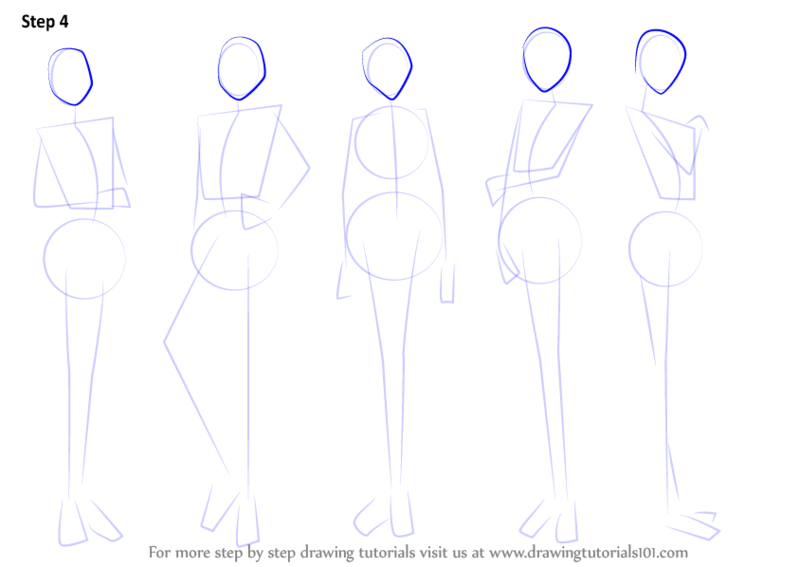 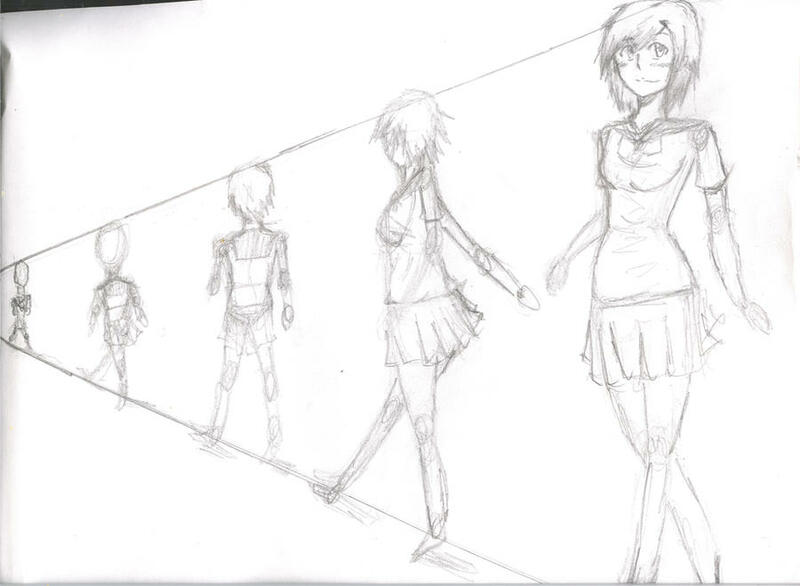 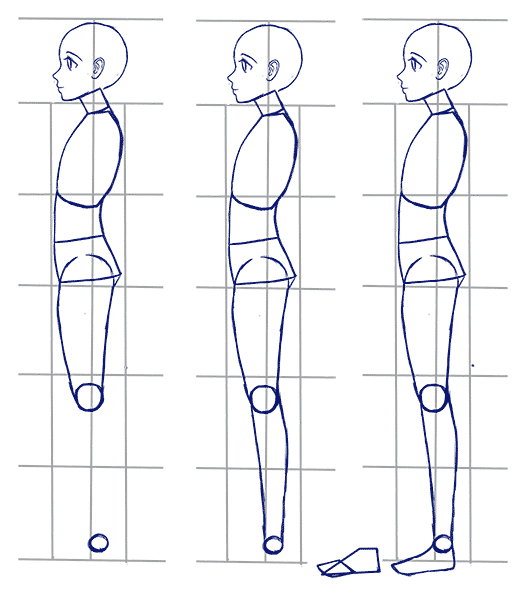 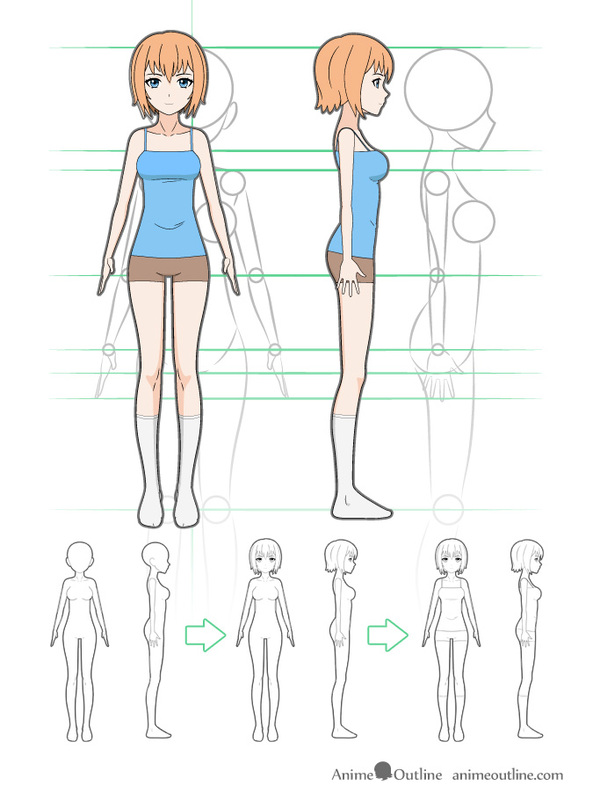 This tutorial will show you how to structure and outline a basic manga character. 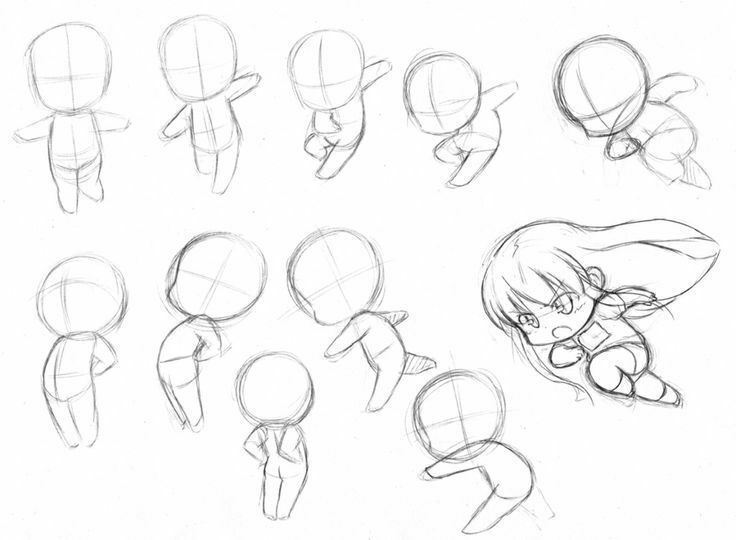 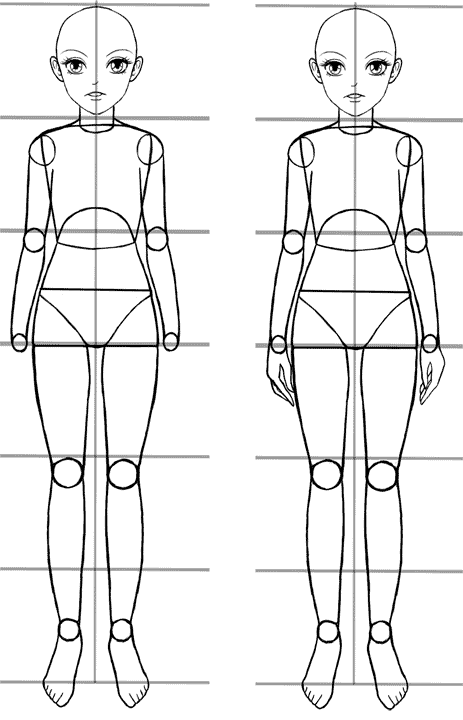 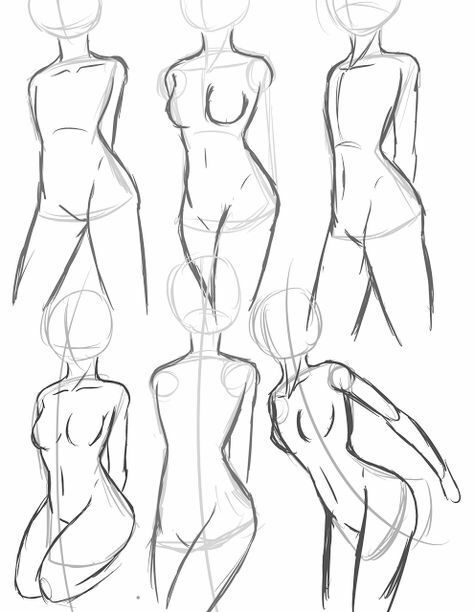 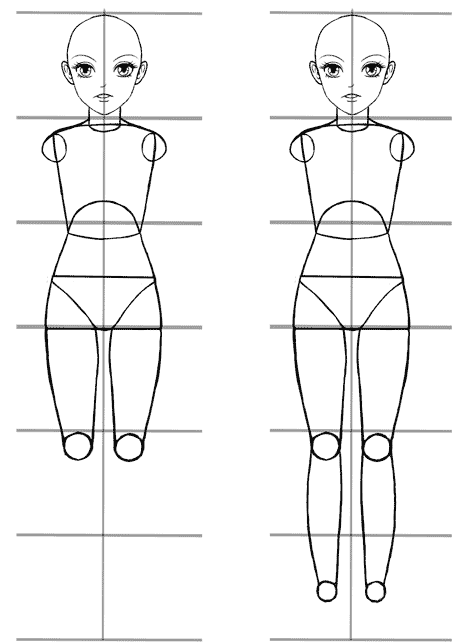 Using a wireframe figure, you can get the main parts of the pose correct and in proportion before adding detail. 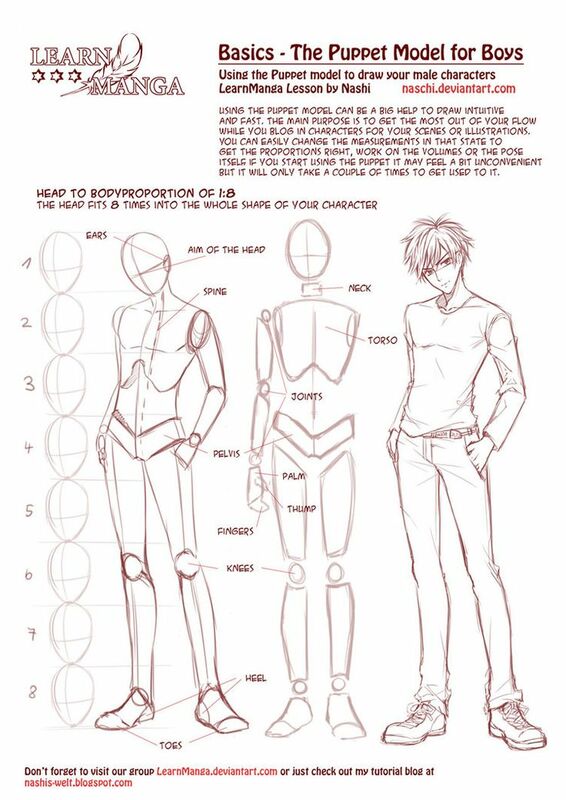 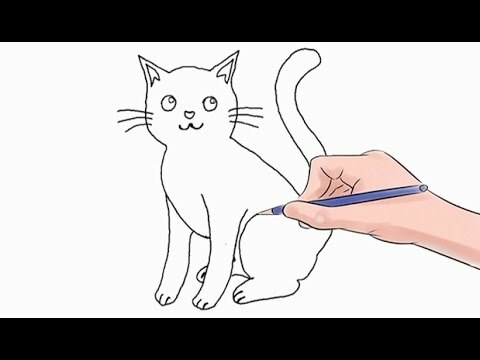 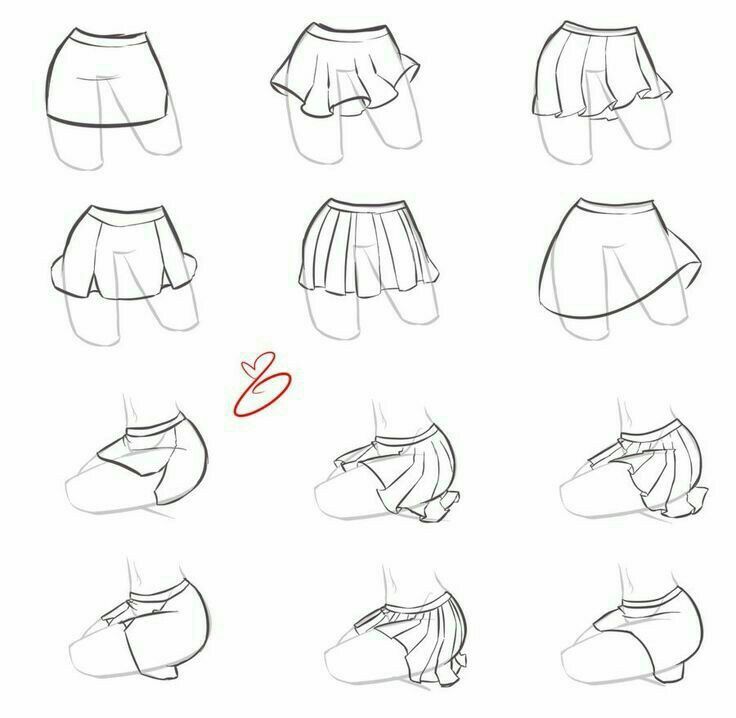 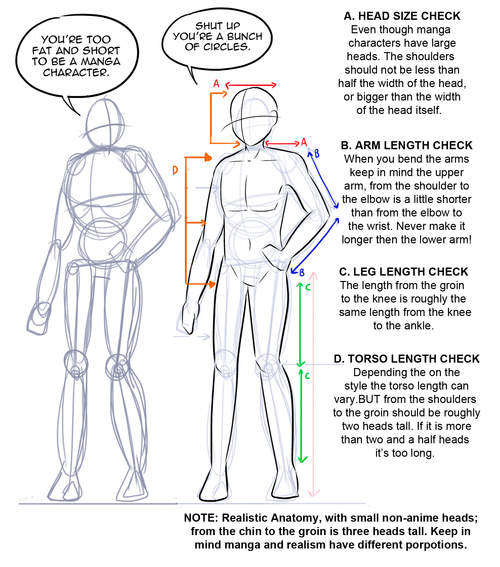 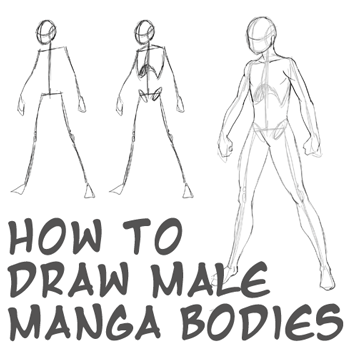 If you’d like to draw a more dynamic character, take a look at these tutorials which show you how to draw a manga ninja and a manga cyborg cop. 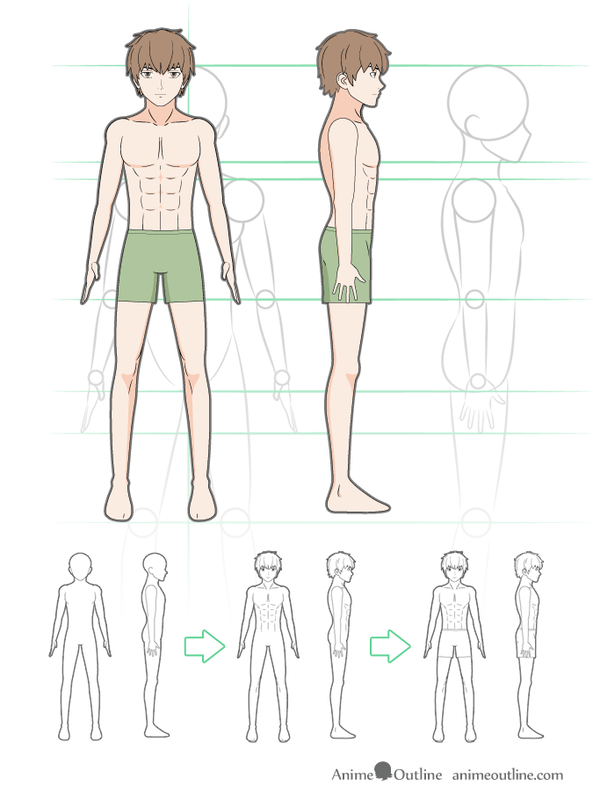 Try roughing out some character ideas using the wireframe method. 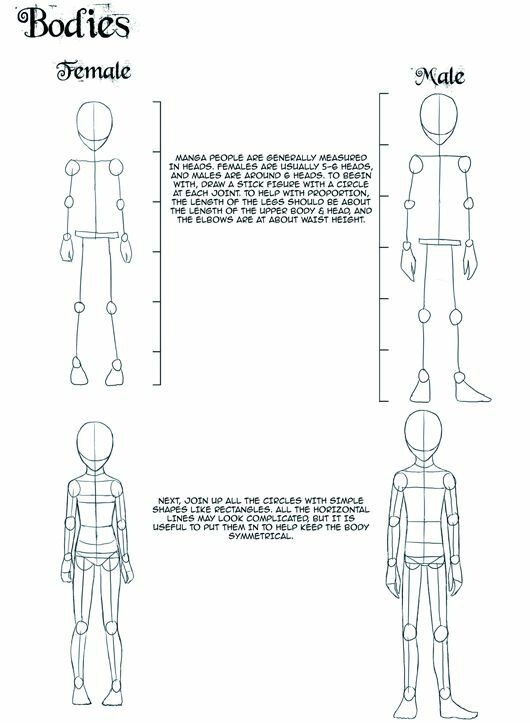 See if you can copy poses from photographs of athletes and martial arts exponents, or use a wooden artist’s manikin to set up a pose.